Artist Justin Currie, admittedly an inexperienced Metroid player, gorgeously illustrates the disintegrating armor of Nintendo icon and bounty hunter Samus Aran, a moment before it fully forms around her (or disintegrates, depending on your point of view). 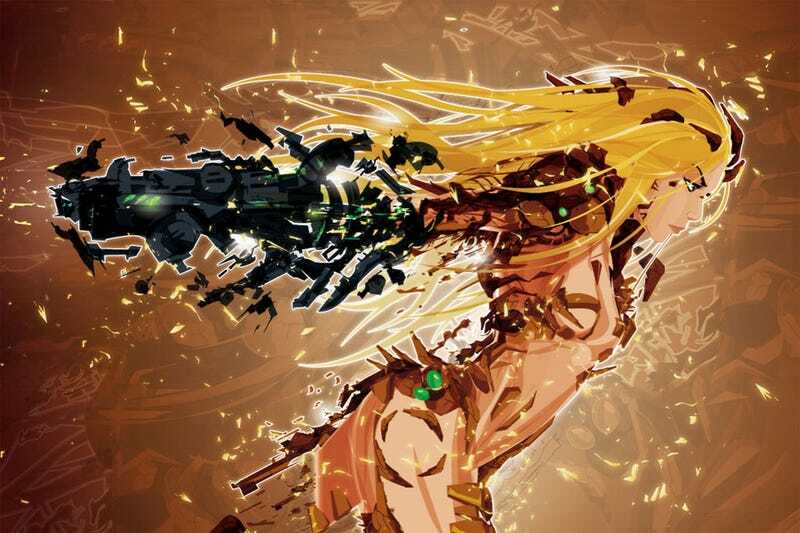 "I've never really played any of the Metroid games, but the Samus character has always intrigued me," writes Currie, "and I love how her armour disintegrates/explodes around her. thought it would make for a good vector painting. Its up to you guys if she's putting it on, or taking it off." More of Currie's video game and comic book-inspired work at deviantArt.